I am using an iPhone 7 in Turkey. My iPhone is prompting me to install a software update which appears to be meant for iPhone XS. Is this normal? I just want to make sure my iPhone isn't hacked and is behaving as expected. This is not an indication of an hacked iPhone at all. The screenshot contains a description of the bugfixes included in a new iOS update from Apple. You do not get a personal description of only the changes that are important to you, rather they write one description that everyone gets. 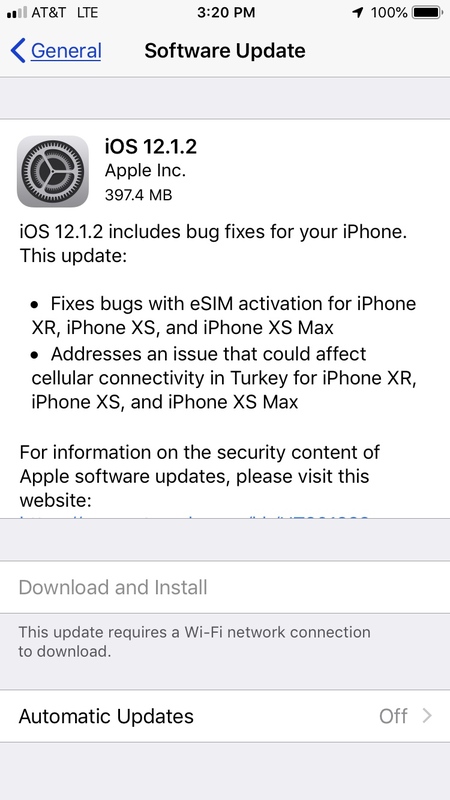 For example: If you happen to be using an iPhone XR in Turkey, this change is important to you. If you don't - just ignore it. In general updates could contain more fixes than the ones that are explicitly highlighted, so you'll want to install them even though the explicitly detailed ones aren't applicable to you. Not the answer you're looking for? Browse other questions tagged iphone software-update . Can I install iOS 10 on iPhone 4S?